Thoroughly tested by founder and creative management. Safe to say that it is designer approved. Originally Norm Architects designed a table especially for Bjarne Hansen – the creative director and founder at Menu. The table was meant for Bjarnes living room at home. While at it, Norm also manufactured some tables for their own studio. All three of them have used those tables ever since. After being tested and used for years by our founder and design managers – we think it’s safe to say that the design is approved. So, for our Fall 2015 collection we’ve decided to launch the Snaregade tables in three variants, rectangular, oval and round. 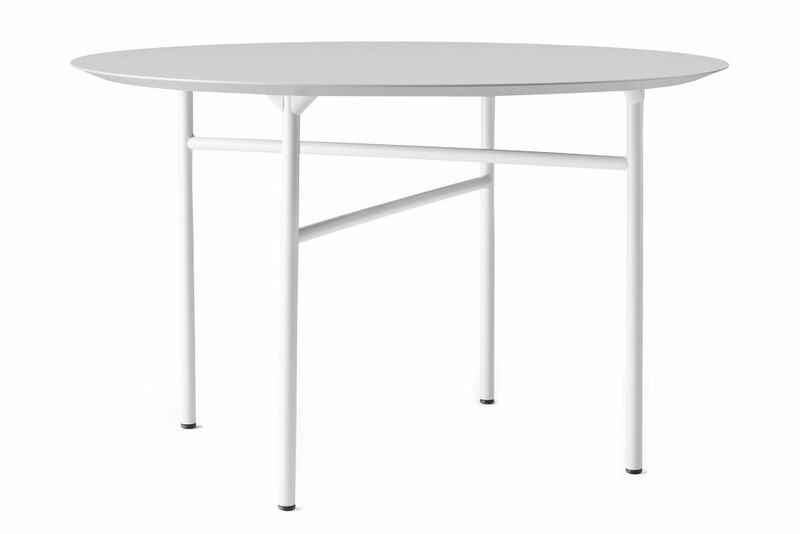 Suitable as a dining table or work table. A round one for the meeting room or a rectangular in the kitchen. Everything goes. And as for the name? Snaregade is the name of the street in Copenhagen where Kasper Rønn and Jonas Bjerre-Poulsen have their studio.